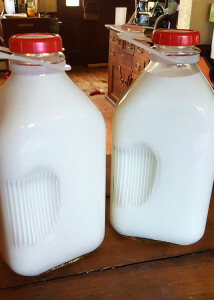 We have fresh cold goat milk for sale. $5/half gallon. Contact us for availability. Our little Halley found her new home. Check back in the Spring when we will have more babies available.